Wn Tre05, Le Tréport Sémaphore, StP. Gruppe Le Tréport, K.V.A. 'E1', Houte-Normandie. 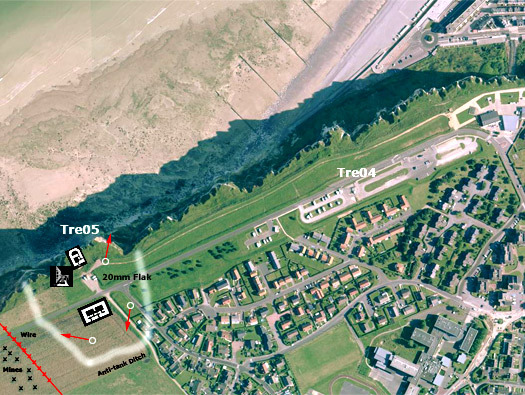 Wn Tre05, Le Tréport Sémaphore. Hurri bombers loading up at RAF Warmwell in 1942. The enemy, Me 109's would with the use of radars here try and stop them. Wn Tre05, Le TrÃ©port SÃ©maphore. The D126E runs along the top of the cliff out of the town and there is a small car park and viewing area. This is the middle of Wn Tre05. This was the site of 2.Funk.Mess.Abt. 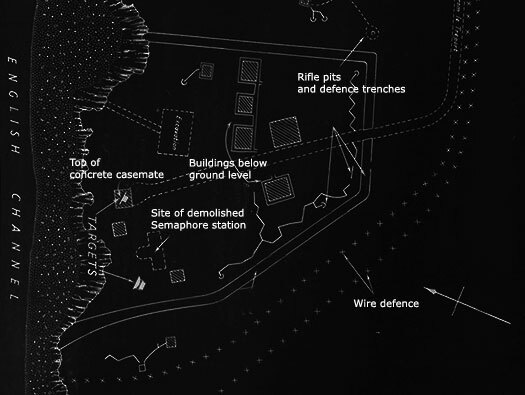 a small Wn with radar and an anti-aircraft defence with an anti-tank ditch around it, barbed wire and a minefield. Inside the cabin on the rear of the radar. My interpretation of a plan of Tre05 with three Flak positions, an R502, the radar and a Peilstand/Vf overlooking the sea. 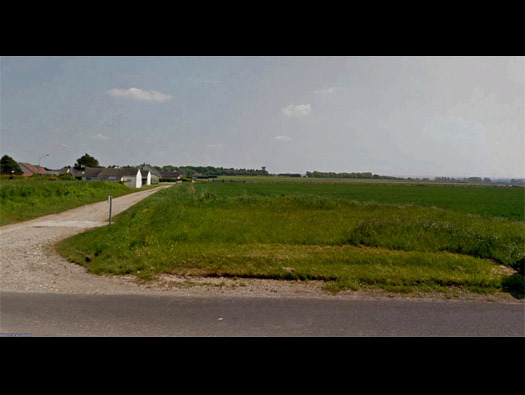 An anti-tank ditch cut around the site and wire and mine field to its left flank. 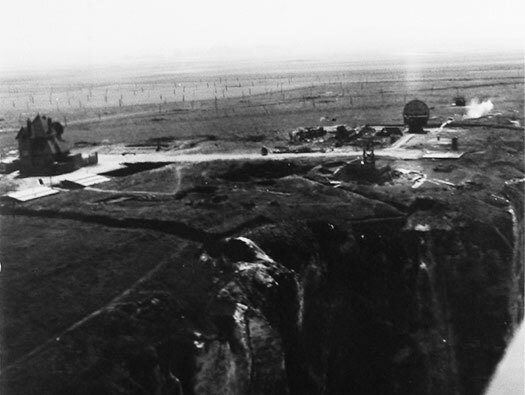 A 1940's air photo of the area. The imprint of the bunker now grassed over on the side of the road. Site of the old Semaphore. 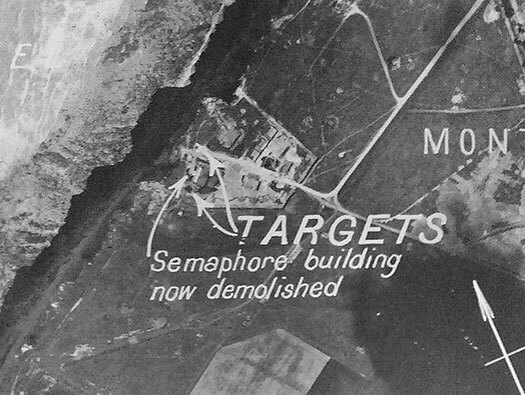 RAF Rhubarb Operations attacks on Coastal Radar Stations. 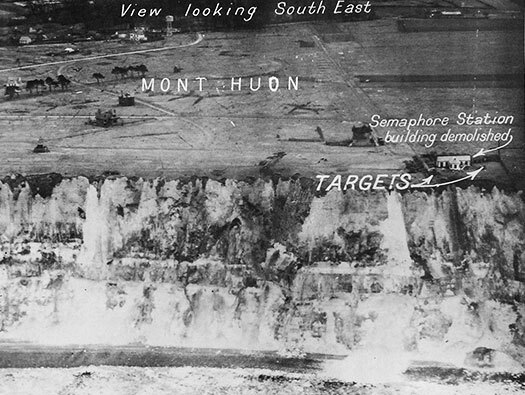 Le Treport/Mont Huon Giant Wurzburg Radar..
One of the important missions assigned to the Tactical Air Force prior to D-Day was the destruction of enemy Radar Stations. Rocket firing Fighter Aircraft of 2nd TAF as well as Medium Bombers successfully carried out the missions and practically all Radar Stations were destroyed of seriously damaged. . This could have been an anti-aircraft or field gun position. The view from the Belvedere. 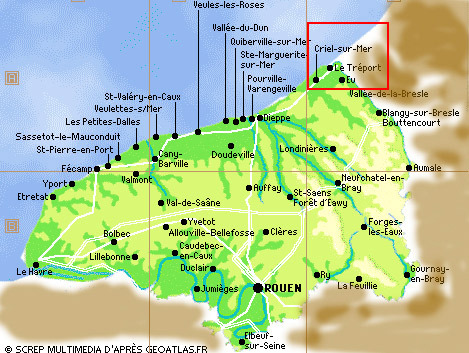 Le Tréport with Mers-les-Bains on the opposite cliff.